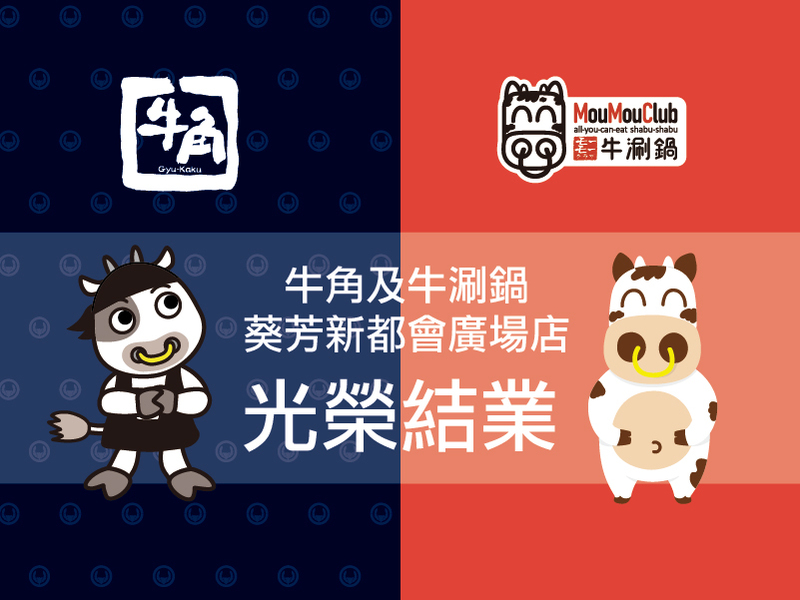 Gyu-Kaku and Mou Mou Club Metroplaza Shop will be closed after 10 September, 2017. We appreciated your continuous support in these five years. We respectfully solicit your continuous patronage at Gyu-Kaku and Mou Mou Club Tsuen Wan shops or our other shops. Look forward to seeing you in the future! This entry was posted in 公司資訊, 牛涮鍋－消息, 牛角－消息. Bookmark the permalink.